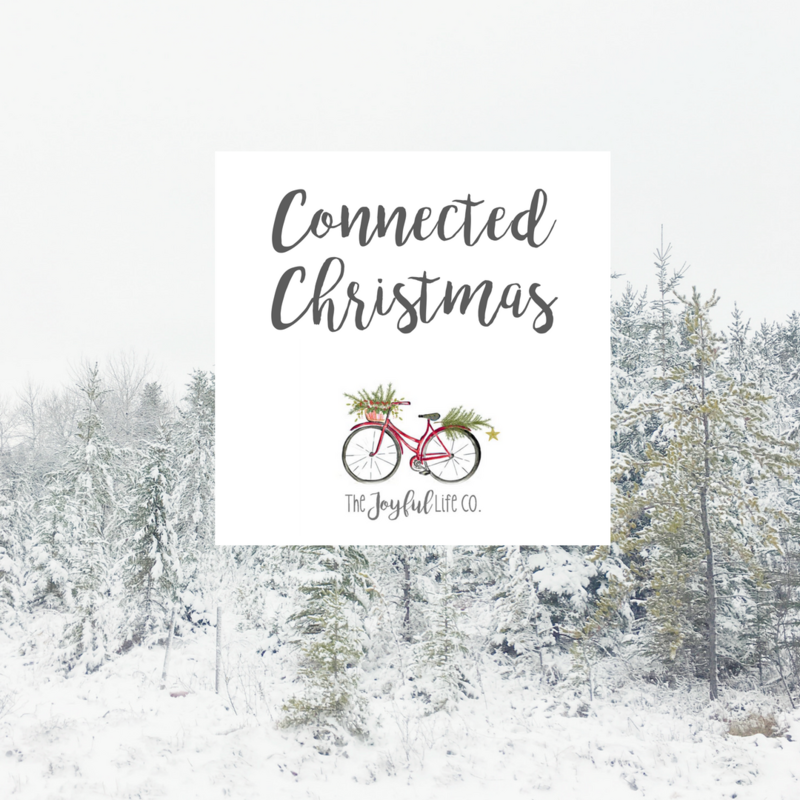 Connected Christmas With The Joyful Life Co. – The Joyful Life Co. Connected Christmas With The Joyful Life Co.
Tis’ the season! The season where your feeds fill with beautiful pics , of “perfect” families, who clearly have it all together, who are SO happy and got all the Christmas “to do’s” done with ease and with time to spare and gather by the fire and have a big ol’ love in. We LOVE Christmas and the pretty stuff, and the fireside snuggles, but we are very well aware that all of the “ to do’s “ and the “musts” can leave us feeling frazzeled, resentful and sadly way less connected to the ones we love. For us, the connection is what we seek, so this holiday we are going to focus on that with you and for us! We are intentionally putting it out there that we feel better when we are more connected to the people and the things that really matter. Don’t get us wrong, we are not going minimalist- bring on the decorations and the sprinkles because those ARE things we love and bring connection and JOY to us and our families! This season we will be exploring life, with real life mom’s in different seasons of parenting. We are connecting with them to find out what is their greatest JOY and struggle of the holiday season! We will then be sharing it with you! Beyond sharing MAMA stories with you we will be sharing simple, FUN and connected traditions with you weekly. We are excited that MAMA, and photographer Rachel of SAWMILL collective will be sharing tips for capturing your connection this holiday season in photos! We will have some tips for intentional gift giving with meaning and making the most of the days this time of year! We are so happy to have you along for this journey JOY CREW- Cheers to this Christmas- one with more connection, meaning and hot chocolate with candy canes!